Gee Crabtree and Lewis Dimmock, from Aylesbury, are going to complete a skydive on 9th April! I can’t decide if they’re brave or crazy but good luck Gee and Lewis! Winslow Countrysiders are celebrating their 25th anniversary this year and will be holding an afternoon tea on the 18th December, 2016 to mark the occasion. 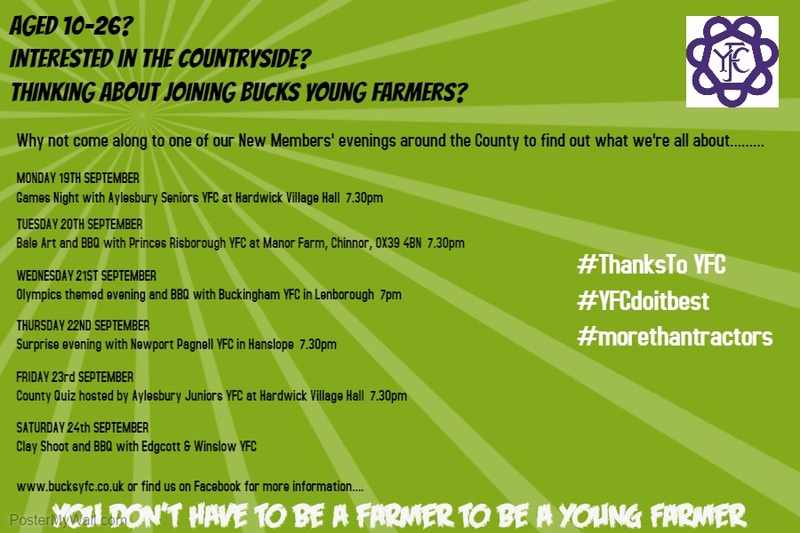 All past members and supporters of the Club are invited to join in the celebrations from 3pm at Mursley Village Hall. The Committee are also looking for any photographs or press clippings from the past 25 years in order to put together a display for the event – please contact Pauline Claridge or Lacey Tompkins if you can help with this. 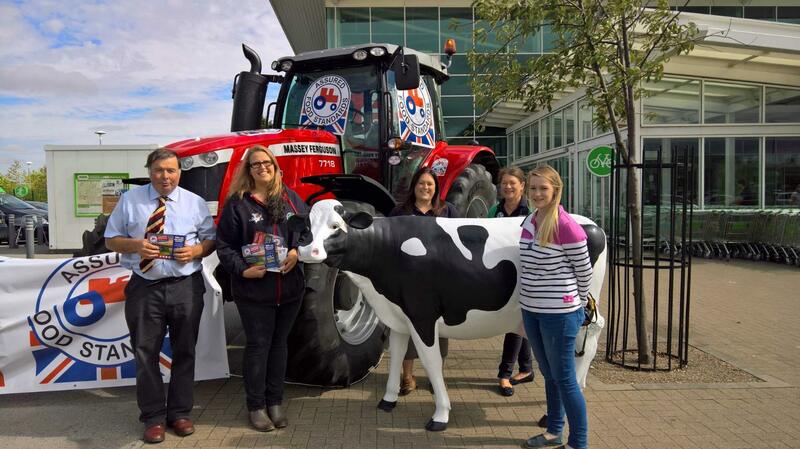 Bucks FYFC members Jess and Eleanor, joined the NFU today at Asda in Milton Keynes, to promote the Red Tractor Scheme and British farming. They talked to shoppers about the scheme and what the logo on certain products means and guarantees. Well done girls!